Rizla Suzuki rider Tom Sykes has taken his first British Superbike race win on the bounce in the first race at Knockhill. Sykes got an excellent start from the grid pushing through to second from the second row on the grid, behind Michael Rutter, who got the hole shot from the start. Pole position man Leon Haslam was running in third with the leading pair of Rutter and Sykes until he crashed on lap 10. The crash rounded out a disappointing first race for HM Plant Honda, after Cal Crutchlow crashed on lap six and did not restart. At the end of lap two Sykes made an attempt to pass Rutter, but Rutter pushed Sykes on to the curb, with the Suzuki rider almost high-siding. Tom Sykes managed to take the lead on lap nine after several attempts at passing Rutter. James Ellison and championship leader Shane Byrne managed to stay with the leading duo and on lap 20 Byrne shot passed Rutter after the two swapped places several times during the lap. A few laps later Ellison followed and passed Rutter to take third spot. 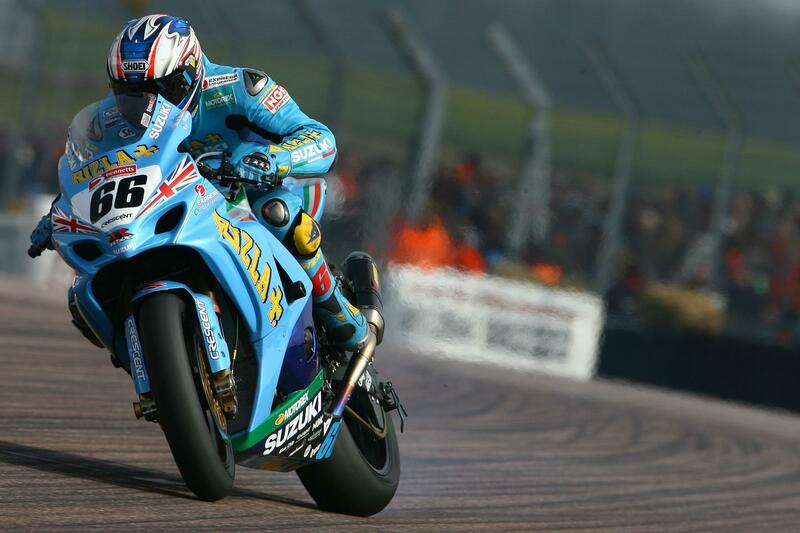 Meanwhile Leon Camier and Michael Laverty were battling for fifth place several seconds behind the leading pack. Scott Smart was running a good race, until he crahed out on lap 19. A lap later Billy McConnell and Atsushi Watanabe had a coming together at the hairpin. Watanabe was stretchered off, with what is thought to be severe bruising. On lap 27 Shane Byrne almost lost second position as he caught up to Chris Burns and the two had a coming together.